A battle with two forms of cancer, including breast cancer, has inspired Ola Hawatmeh to share her experiences and make a positive difference in the lives of other survivors. Featured as St. Louis’ “Most Influential Woman,” in 2011 and 2012 by Alive Magazine, Ola was nominated and selected as one of St. Louis’ “Top Women Business Owners” from 2014-2017 by Small Business Monthly. She has been on several radio shows to bring awareness to her Mom & Me Makeover Organization, which has helped over a hundred families, including teenagers with disabilities and children battling cancer, by encouraging the development and growth of their self-esteem as models featuring her designs in an Ola Style Fashion Show. Ola has also been a frequent guest fashionista on Fox News in St. Louis. 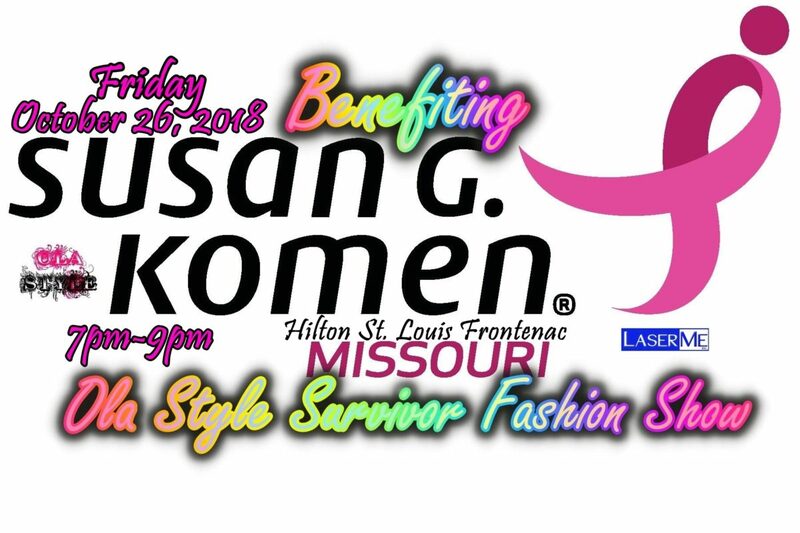 Currently she is producing and promoting the Ola Style Survivor Fashion Show, in which the proceeds from ticket sales benefit the Susan G. Komen Foundation in Missouri, whose own foundation assists with helping to research and obtain the cure for breast cancer. This organization is also extremely supportive of women through their battle with cancer and has been there for Ola, who aims to return the gesture by paying it forward. If you or someone you know is battling breast cancer, let them know they’re not alone and tell them about the Susan G. Komen Foundation. The Ola Style Survivor Fashion Show will bring awareness to and help educate others of the importance of applying modern technology to find, treat, and remove breast cancer, as stated by her in an interview with St. Louis Magazine. Ola also desires to remind survivors of how beautiful they are no matter their battle scars, and with the assistance of the Susan G. Komen Foundation, is enlisting fellow survivors as models, by presenting the opportunity for them to shine as they support one another walking the runway in white and pink designs created by Ola. Tickets for the show can be purchased on the Eventbrite website by clicking here. We will not sell, share or trade our donors’ names or personal information with any other entity, nor send mailings to our donors on behalf of other organizations. This policy applies to all information received by organization, both online and offline, on any Platform (“Platform”, includes Ola Style websites and mobile applications), as well as any electronic, written, or oral communications. To the extent any donations are processed through a third-party service provider, our donors’ information will only be used for purposes necessary to process sales.